Powdered NBR 40-1 has very good cohesive property which increase the cohesibe force in the shole friction material system. It can improve the layer's strength and products's flexibility. 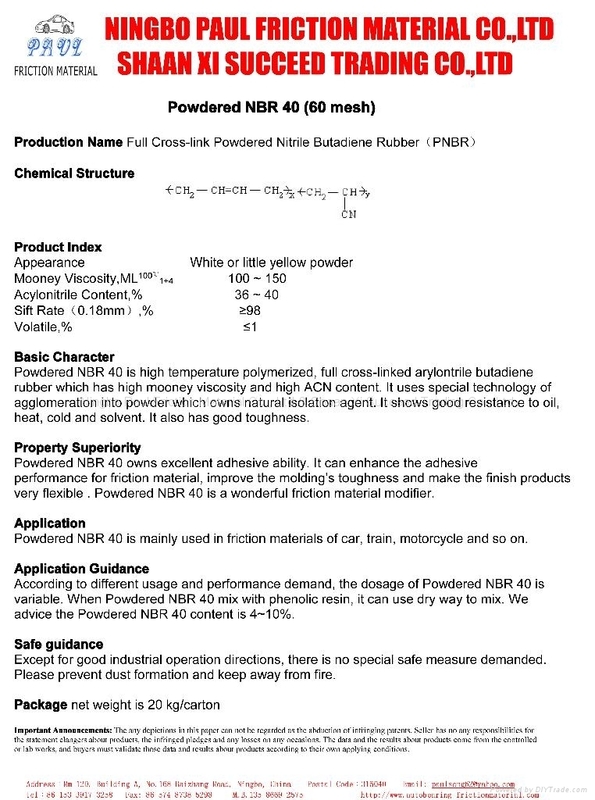 NBR powdered 40-1 is an ideal friction material modifier.